For the first hundred pages or so, the reaction is one of puzzlement. 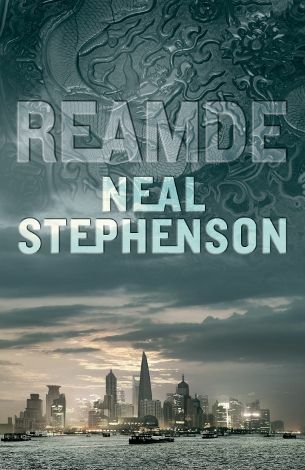 Why is Neal Stephenson, a man who works on the cutting edge of knives that other people haven’t even discovered yet, writing a novel about gold farming in an online fantasy role-playing game? Hasn’t he covered this territory before? Perhaps, you think, he’s taking a breather after Anathem , a near-outrageously ambitious novel of ideas that, like Stephenson’s Baroque Cycle, stretched the idea of what constitutes literary science fiction to breaking point. This might be true but get through the next 200 pages and you realise that even when he’s having fun, Stephenson remains a formidable writer. To unpick that a little: Reamde begins in typical high-tech thriller fashion, its plot kickstarted by backstreet hackers in China releasing a virus via the online game T’Rain . This requires the personal attention of the game’s creator, multimillionaire entrepreneur (and ex-marijuana smuggler) Richard Forthrast. Then a Russian Mafiosi, who urgently wants to speak with the virus writers, kidnaps Forthrast’s niece, Zula. The scene is set for a story that takes in, in no particular order: MI6 and American security services; the Chinese city of Xiamen; Al-Qaeda; the geology, mythology and economics of online fantasy worlds; serious amounts of military-grade weaponry; a man-eating cougar; improvised piracy and enough MacGuffins to keep you constantly on your toes. Suffice to say that even at 1,000-plus pages, Reamde never outstays its welcome. Stephenson’s fellow cyberpunk traveller William Gibson has noted that, in time, our current distinction between the digital realm and the real world will largely dissolve. Reamde explores this idea in thrilling fashion.